May 11, 2018 – 9:45 pm – Today, firefighters successfully treated an additional 700 acres with prescribed fire on the Bullis project. They plan to continue with ignition operations again tomorrow if conditions are favorable. May 11, 2018 – 2:00 pm – With favorable fuel and weather conditions in place – and following a successful (on-site) test burn, firefighters are proceeding with ignition operations on the Bullis Prescribed Fire project. They will be treating fuels that exist within the interior portion of the project. The project perimeter was successfully black-lined last week. The interior portion of the project has a more continuous fuel load and varying densities of vegetation. This can result in an increase in smoke production, however, light winds will help dissipate the smoke, as it rises. This post will be updated again this evening after firefighters have completed today’s ignition operations. They will also provide an update regarding the number of acres treated today. Bullis Rx, 2,350 acres, and general location: 49 miles NW of Carlsbad, 46 miles SW of Artesia and 31 miles NW of Queen. Successful use of prescribed fire can improve conditions within the Bear Canyon area. Total number of personnel needed: 40 (minimum). Desired Fire Effects on the Bullis Prescribed Fire project: Moderate to High fire behavior is necessary to reduce Pinon/Juniper encroachment. The natural fire regime for this system supports moderate to high fire severity fire in 5-15 year intervals. Currently, this area is highly departed for its natural fire regime. This is largely the result of fire suppression, coupled with continuous grazing practices. What are “favorable weather conditions” for the Bullis project? : Desirable weather parameters vary from burn to burn. In general, to achieve the desired fire effects and achieve the benefits of using fire as a restoration tool on the landscape, higher wind speeds, lower relative humidity and higher temps are needed. Depending of the amount of continuous fuel on the landscape, which is often lacking if the area is heavily grazed or suffers from severe Pinon Juniper encroachment, desired weather conditions may be consistent with the issuance of red flag warnings from the National Weather System. May 10, 2018 – 9:00 pm – The new target date for resuming ignition operations on the Bullis Prescribed Fire project is May 11th and possibly through May 12th. If all fuel and weather conditions are favorable on Friday, firefighters will be able to resume ignition operations. As of May 5th, they had completed blacklining the entire project’s perimeter. If or when ignitions resume, firefighters will be treating the interior pockets of fuel within project area. To date approximately 1,300 acres of the 2,350-acre project have been treated with prescribed fire. May 5, 2018 – 11:30 am – Ignition operations will be temporarily postponed on the Bullis Prescribed Fire project until sometime next week. Today firefighters will be patrolling the project and ensuring that the perimeter and blacklines are secure. This afternoon, some firefighting resources will be released from the Bullis project. The plan is to re-evalute fuel and weather conditions in a few days or later in the week. The work that has been accomplished on the project so far focused on blacklining the perimeter and ensuring that control lines are well-established. When ignition operations resume, firefighters will be treating the fuels that are located well within the interior of the project area. Once the decision is made to resume ignition operations, this post will be updated to reflect the status of ignition operations on the Bullis project. May 4, 2018 – 9:00 pm – Firefighters successfully treated an additional 300 acres with prescribed fire on the Bullis project today. To date, the number of acres treated since ignition operations began on May 1st is approximately 1,300 acres. All operations have been going well and firefighters will continue to proceed with ignitions, as conditions allow. The full complement of firefighting resources needed to safely implement ignition operations remain assigned and on site. May 4, 2018 – 2:00 pm – With favorable fuel and weather conditions currently in place on the Bullis project, firefighters are continuing with ignitions this afternoon. The plan for today is to blackline the eastern unit of the project. The goal is to have a blackline around the entire project before they ignite the interior portion of the fire. They will continue to strategically work towards this goal as conditions allow. perimeter. All firefighting resources and equipment remain assigned to the project and will assess conditions once again tomorrow. If fuel and weather conditions remain favorable they will continue with ignitions, HOWEVER, the determination to move forward with ignition operations will not be made until mid-morning to early afternoon. This timeframe allows firefighters to carefully assess the fuel and weather data that is site-specific for the Bullis project. May 3, 2018 – 2:00 pm – Favorable weather and fuel conditions are in place at this time on the Bullis Prescribed Fire project and firefighters are resuming ignition operations now. 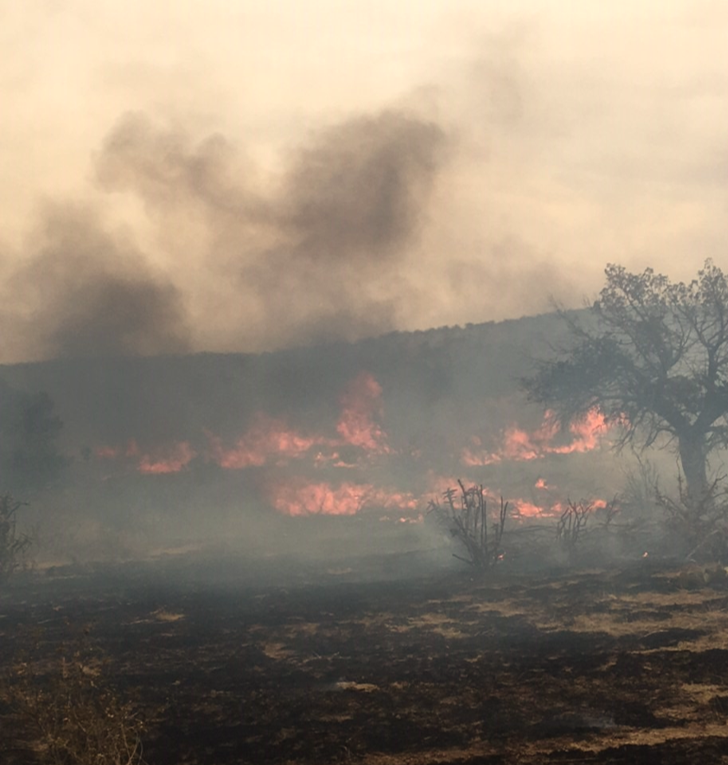 While prescribed fire is used to treat dry, decadent grasses, along with a pinyon juniper fuel component, smoke will be visible in the general vicinity of the burn and the surrounding area. May 2, 2018 – 4:45 pm – NO IGNITIONS TODAY on Bullis Prescribed Fire project. Firefighters followed the standard protocol, which includes obtaining a site-specific spot weather forecast and assessing current (day of the burn) conditions. With today’s forecast calling for winds having the potential of exceeding the thresholds identified in the BURN PLAN for the Bullis project, the decision was made to forego ignition operations today. Firefighters and equipment are still on site and will assess tomorrow’s conditions and again make a determination to move forward with ignitions, or not. conditions remain favorable). This afternoon the wind speeds ranged from 8 to 10 mph and occasionally increased to 15 – 17 mph, which were within the prescription parameters for the Bullis Prescribed Fire project and in accordance with the BURN PLAN. If conditions remain favorable tomorrow, firefighters will continue with ignitions. The determination to proceed with ignitions can only be made once they request a spot weather forecast, assess the current conditions, conduct a test burn and determine that all conditions are favorable. The project is staffed with 40 firefighters and 4 engines. Although smoke was visible during ignitions, impacts were minimal as the winds aided with smoke dispersal. May 1, 2018 – 2:30 pm – Firefighters have completed prep work along the eastern edge of the project. Following a successful “test fire” firefighters are proceeding with ignitions. May 1, 2018 – 9:00 am – At this time (5/1/18 – 9:00 am) Firefighters are assessing today’s weather conditions in order to make the determination as to begin ignitions, or not, on the Bullis Prescribed Fire project, located 49 miles NW of Carlsbad, 46 miles SW of Artesia and 31 miles NW of Queen. The full complement of firefighters and equipment needed to successfully carry out the burn is on scene, however the fuel and weather conditions at the specific site (project area) must be in compliance with the conditions identified in the BURN PLAN before they can proceed with ignitions. They have requested a “SPOT WEATHER FORECAST” that provides the site-specific weather forecast for that area. If the weather and fuel conditions line up, then they will proceed with a “Test Fire” to observe how the fuels are responding. If all conditions are favorable for proceeding with ignitions, they will then continue with their ignition operations. If/when the determination to proceed with ignitions is confirmed, this post will be update to inform readers that ignitions are underway. 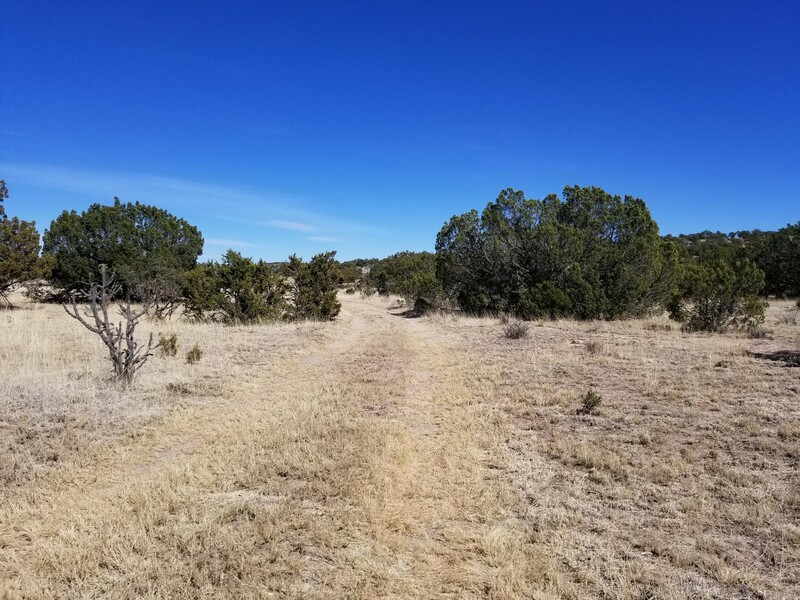 CARLSBAD and QUEEN, NM – March 27, 2018 – Fire managers on the Guadalupe District of the Lincoln National Forest hope to take advantage of favorable burning conditions over the next six weeks. Three prescribed fire projects are ready for the implementation phase, which includes ignitions. The primary objectives of these “burns” are to reduce threats of catastrophic wildfire to nearby communities; reduce juniper canopies which results in overall forest health while improving wildlife, range and watershed conditions and improve the distribution of native grasses and forbs for wildlife. White Bull Rx, 3,000 acres and general location: 28 miles SW of Carlsbad (adjacent to the north side of Queen. Successful use of prescribed fire can improve conditions within the Last Chance Canyon area. Total number of personnel needed: 60 (minimum). Road 70 Rx; 2,200 acres and general location: 36 miles SW of Carlsbad and 4 miles SW of Queen. Successful use of prescribed fire can improve conditions within the Robinson Draw area. Total number of personnel needed: 40 (minimum). Specific criteria must be met in order for a broadcast burn to take place, including smoke dispersal conditions, current weather and fuel conditions, and wind speed and direction. These “conditions” must fall within the specific ranges that have been identified in the approved burn plan before ignition operations can begin. Appropriate staffing and types of resources and contingency resources must be on-site or available in accordance with the project-specific burn plan, as well. Ignitions can only begin if all conditions are met and in accordance with the prescription outlined in the approved burn plan (for each project) on the day of the burn. 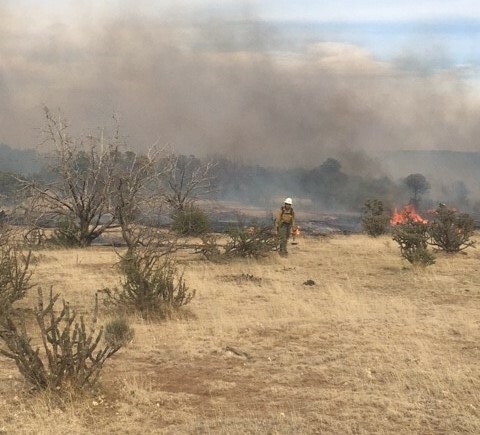 Once ignitions have begun, assigned personnel can continue with prescribed fire operations, as long the fuel and weather conditions remain favorable and the appropriate number of personnel are assigned to the project.